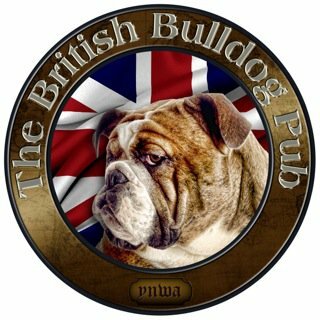 ﻿If you want a good, easy run to help kick off the week, join us every Monday evening at The British Bulldog Pub (http://www.thebritishbulldogpub.com/) for a FREE run/walk of about 3 miles. We begin and end at The British Bulldog Pub, and hang around afterwards to chat, or have a cold beverage, or eat at the pub. If you haven't been to The British Bulldog Pub, this is a great time to visit this wonderful place. As a plus, on the last Monday of each month, all of our runners or walkers will receive a free domestic pint! The selection varies from month to month, so just check with us, or the Bulldog's excellent staff to see what is on tap.